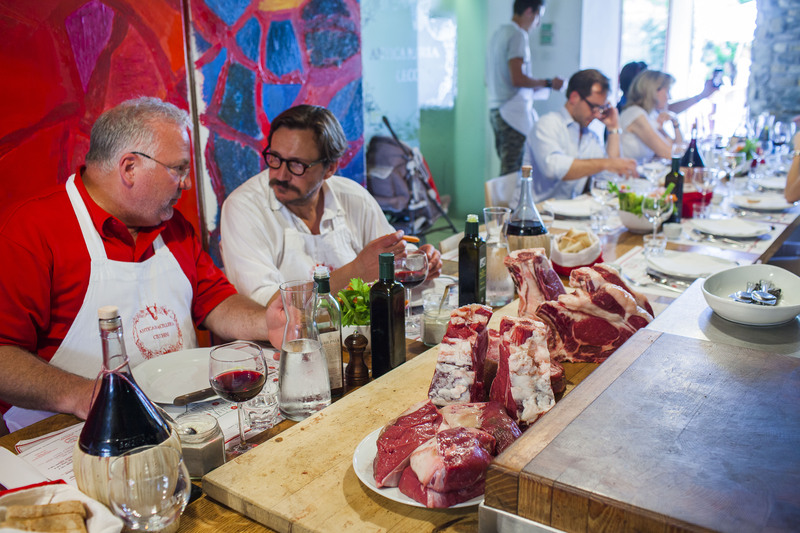 Italian cuisine has an important place in the global gastronomic scene, the dishes evolve and develop continuously through centuries of social and political changes, never forgetting the origins. 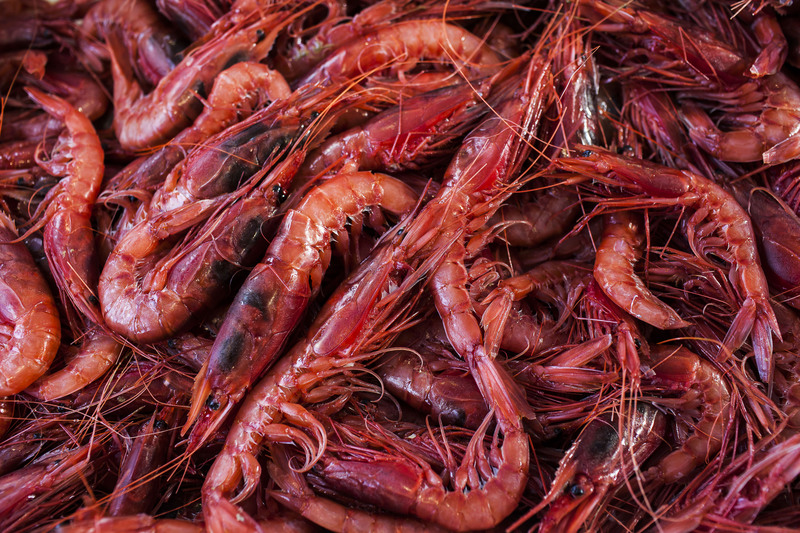 During the Renaissance (XV and XVI century) Italy boasts the most creative and talented chefs, significant changes in the preparation of the dishes have occurred with the discovery of the New World and new raw materials. 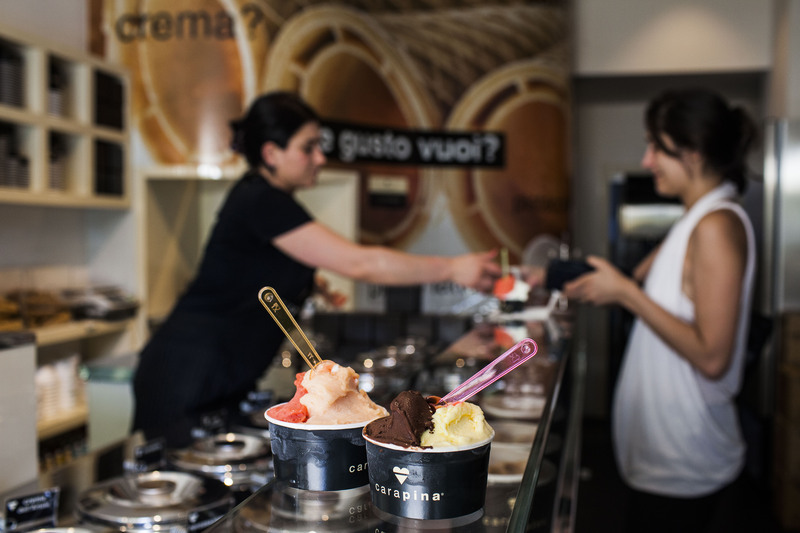 Italy is one of the countries where the culinary tradition is part of the culture, heritage and identity. 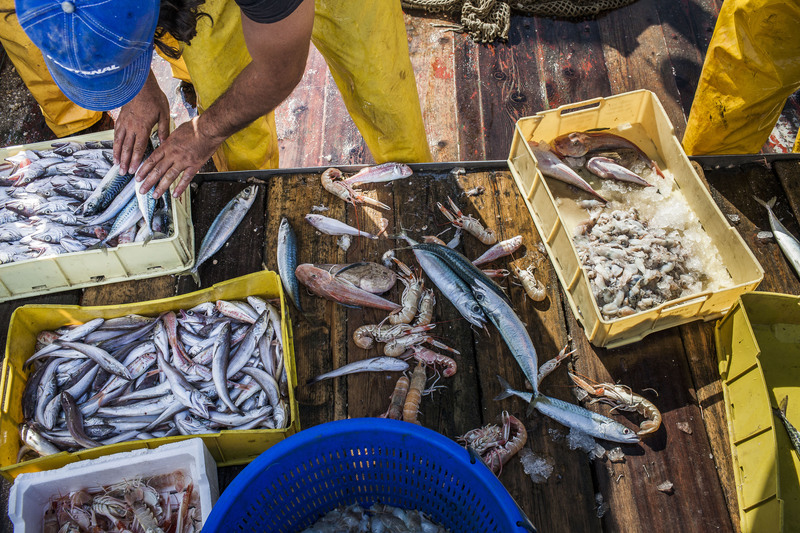 It is not easy to summarize what makes the peninsula, made up of many regional specialties, a unique country where gastronomy is an art of living. 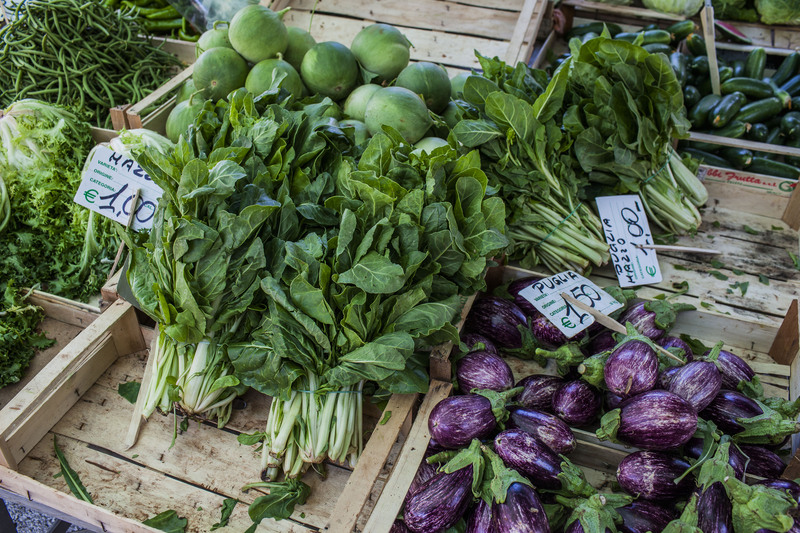 From Piedmont to Calabria, from Veneto to Puglia, most of the Italian cuisine is characterized by natural products that are synonymous of freshness, color and health. 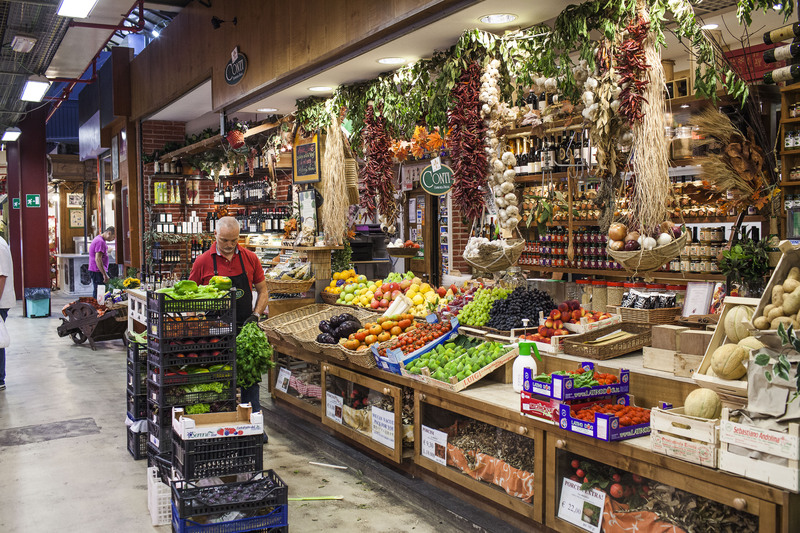 The use of typical Mediterranean products, such as tomatoes, basil, vegetables, olive oil, wheat, eggs, etc. 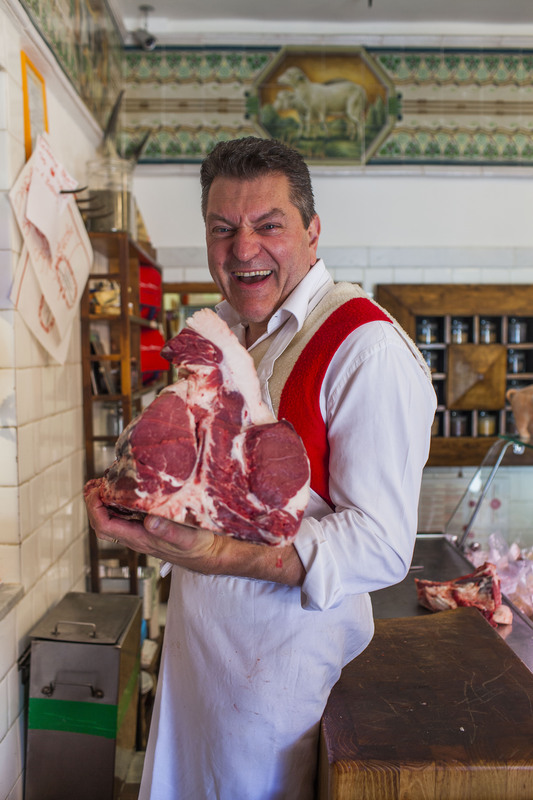 … that follow the natural processes of the earth, traditions and common sense, guarantee freshness of the dishes prepared with taste and love for their land. 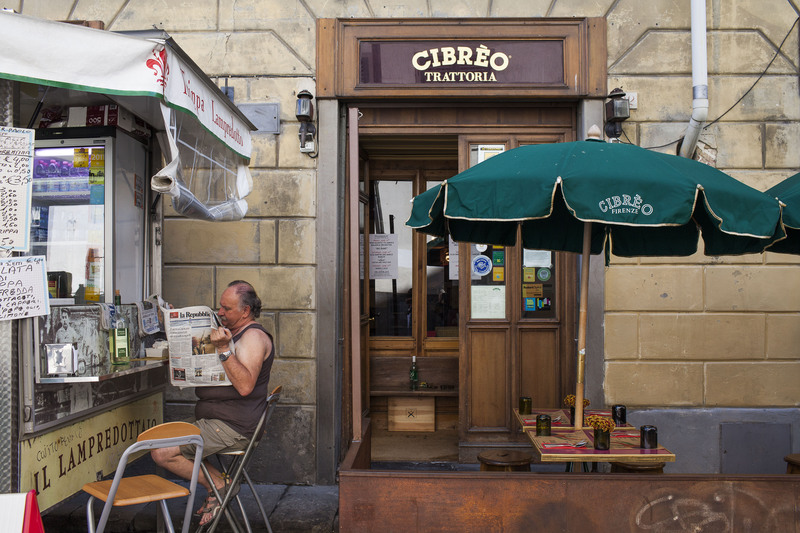 A man reading a newspaper at a stand selling street food is seen next to the Trattoria Cibreo. 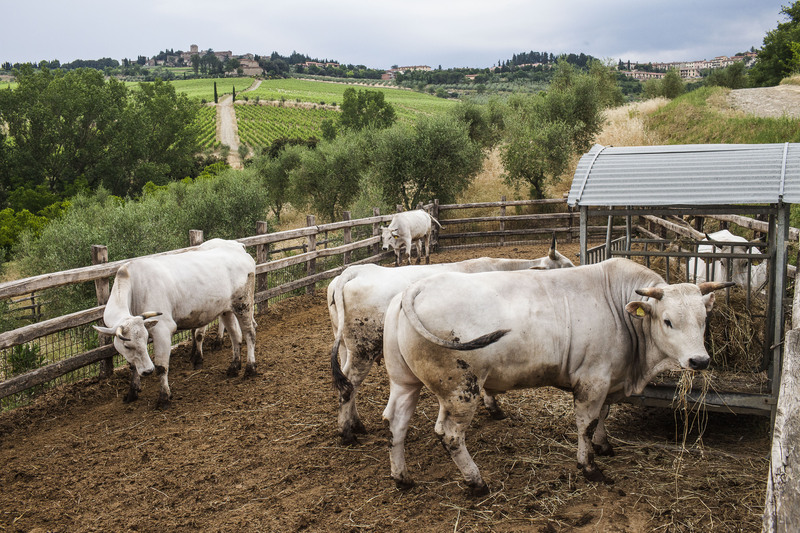 Chianina cows breed by Italian butcher Dario Cecchini owner of the “Antica Macelleria Cecchini” are seen in the Fontodi farm. 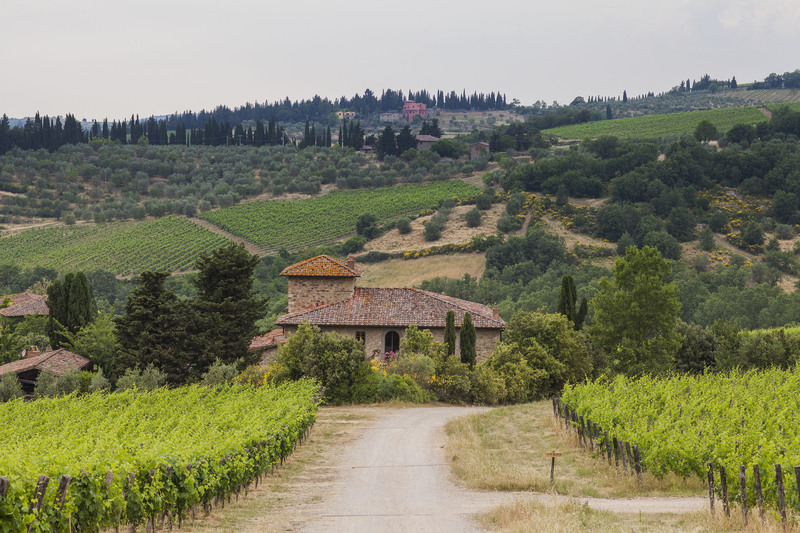 The Fontodi Winery with its vineyard and the house, residence of its owner Giovanni Manetti. 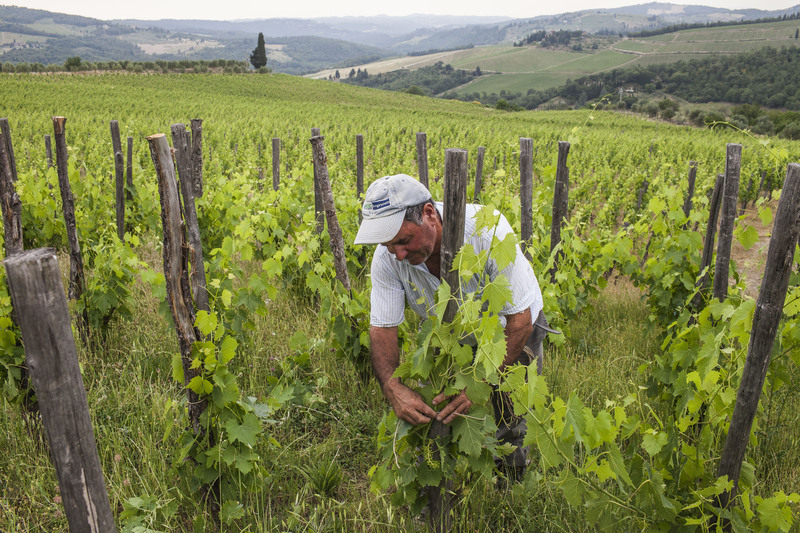 A viticulturist is seen working in the vineyard at the Fontodi Winery. 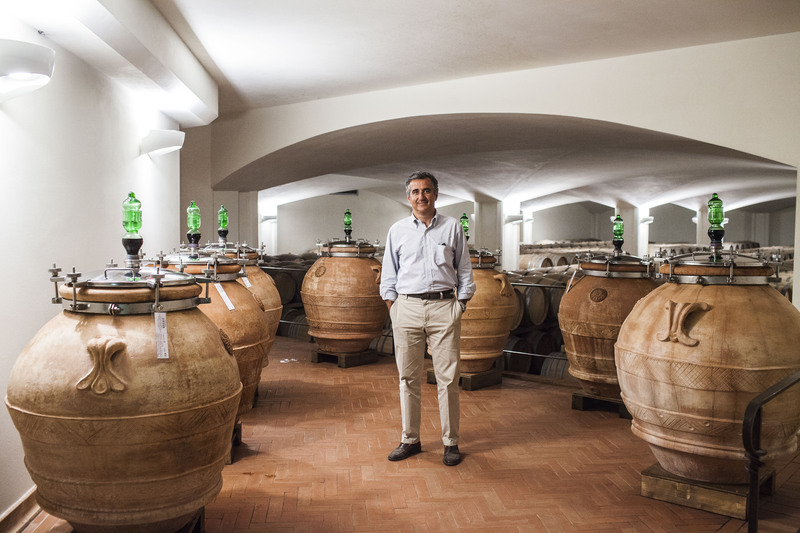 Italian winemaker Giovanni Manetti, owner of the Fontodi Winery is seen in his cellar. 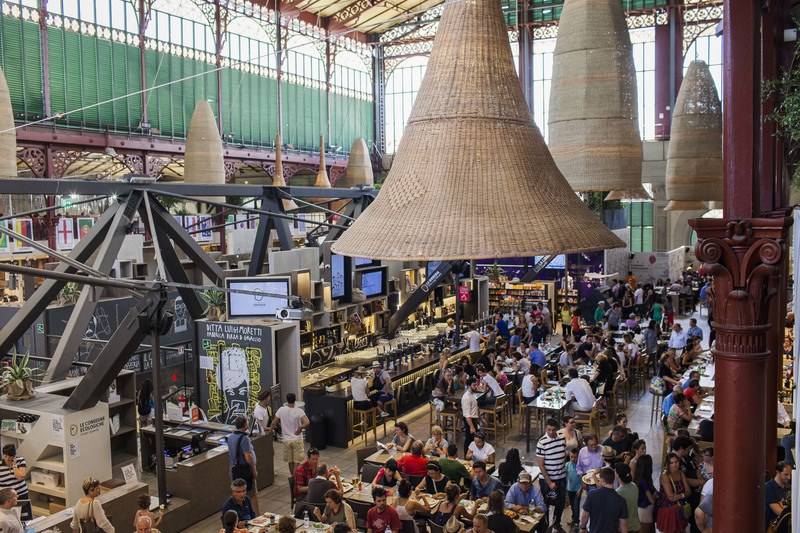 People gathering at restaurants and cafés on the upper floor of the San Lorenzo Market. 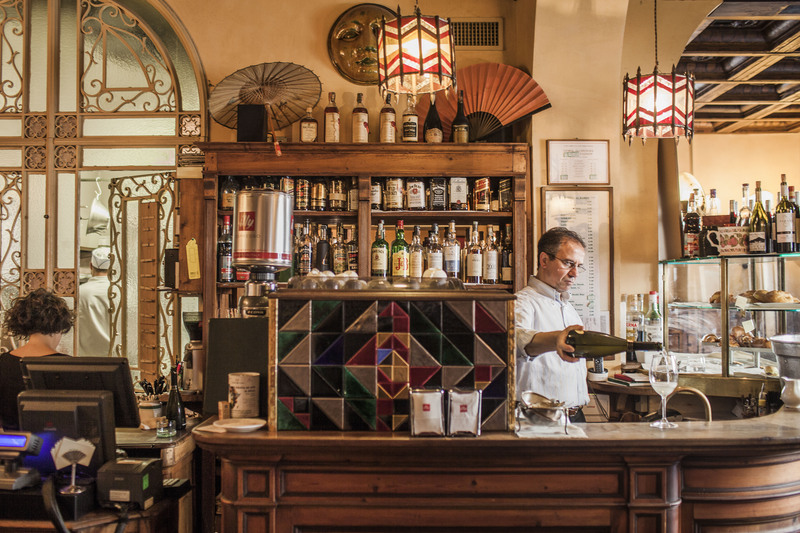 Isidoro, the barman of the Cibreo café is seen serving a flute of Italian sparkling wine. 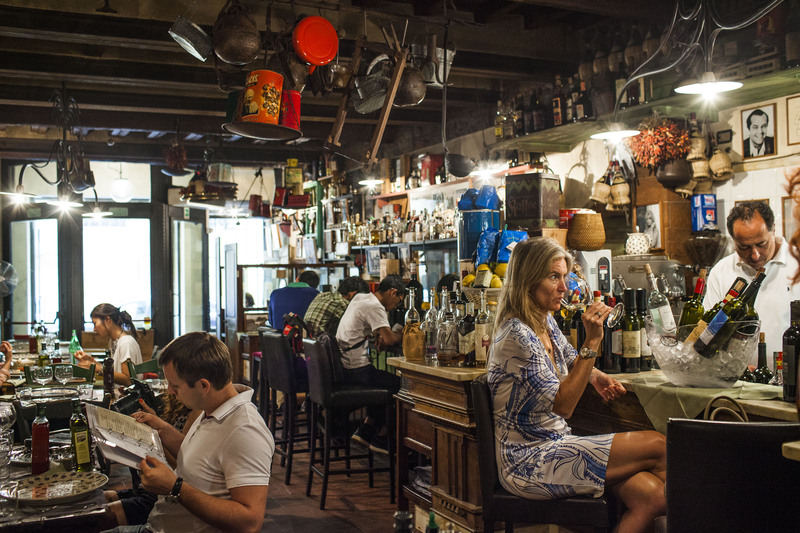 A woman is seen drinking a glass of wine at the 13 Gobbi Trattoria. 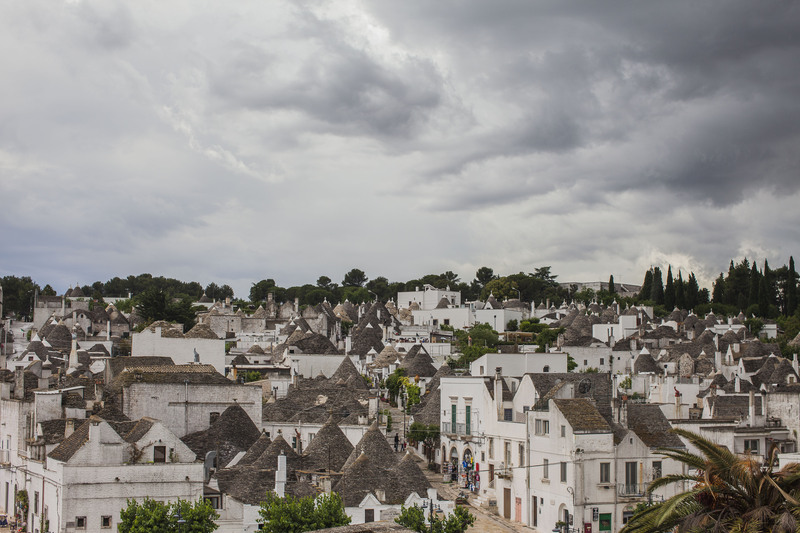 Trulli, the typical houses from the Apulia region. 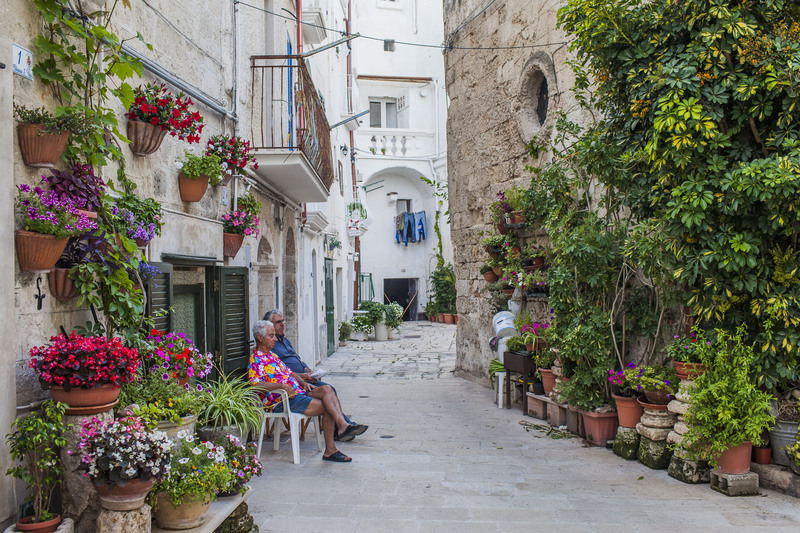 Elderly are seen sitting in front of their house. The counter of a grocery store selling fruits and vegetables at the San Lorenzo Market. 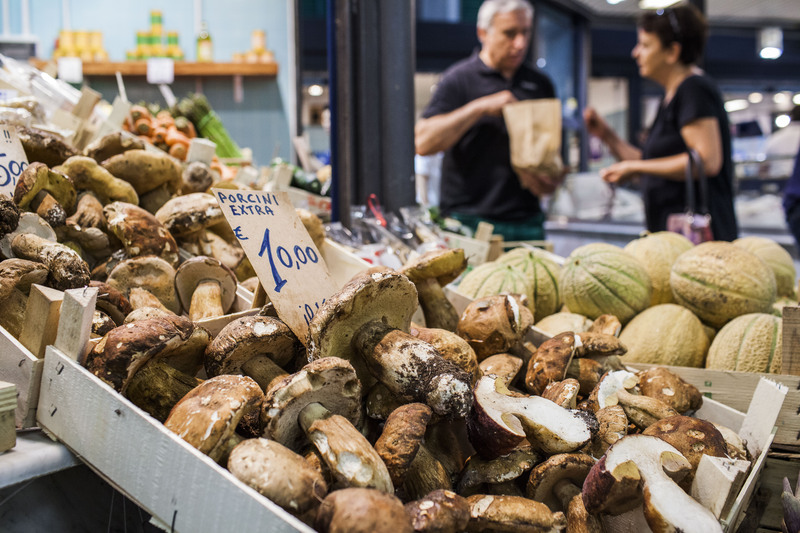 Porcini mushrooms are seen on sell mat at the San Lorenzo Market. Eggplant and other vegetables are seen on sale at the weekly local market. 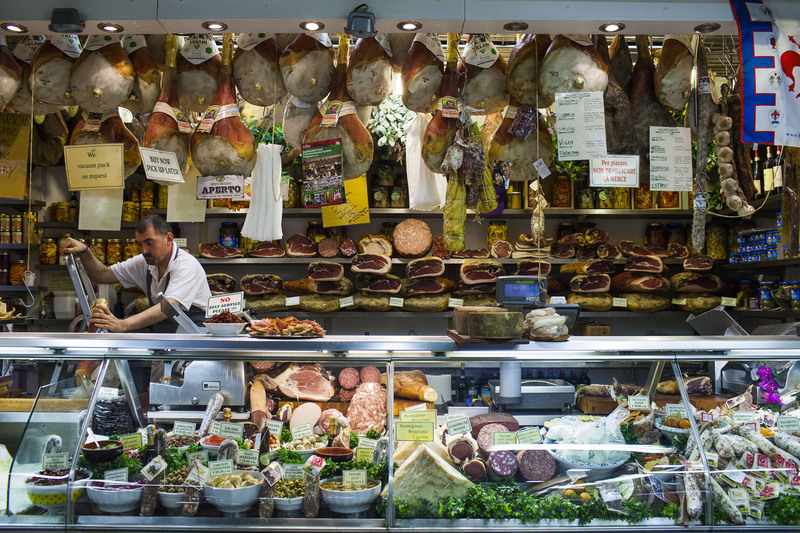 The counter of a grocery store selling hams at the San Lorenzo Market. 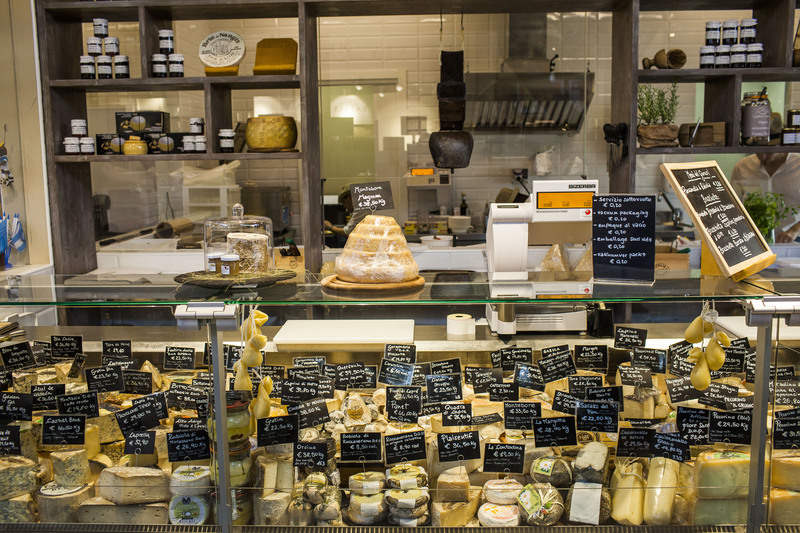 A stand selling cheese on the upper floor of the San Lorenzo Market. 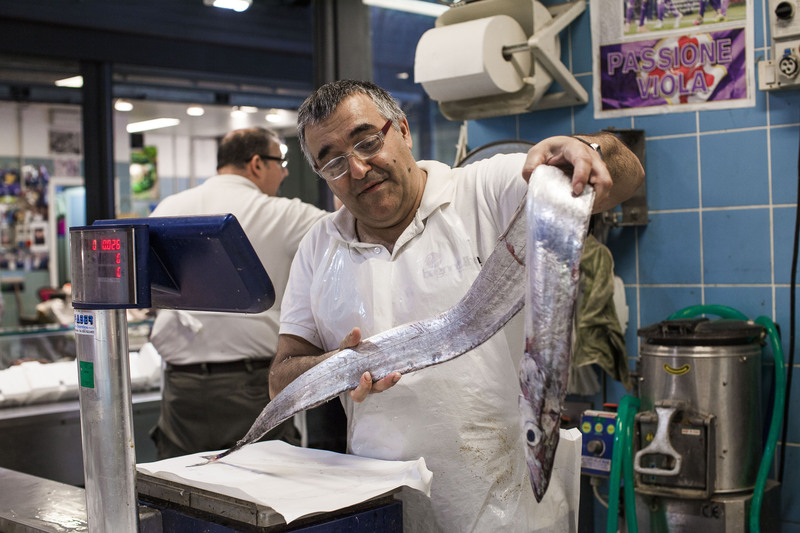 A fishmonger shows a Spatola (Spatula fish) at the San Lorenzo Market. 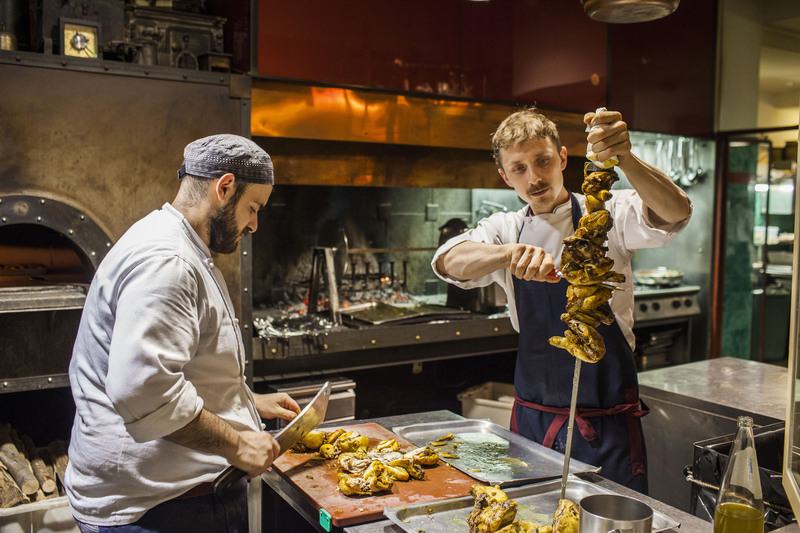 Duccio Picchi (right) the son of the owner and chef of Cibreo, Fabio Picchi, is seen at work as a chef in the kitchen of the Cibreo Teatro del Sale with an assistant. 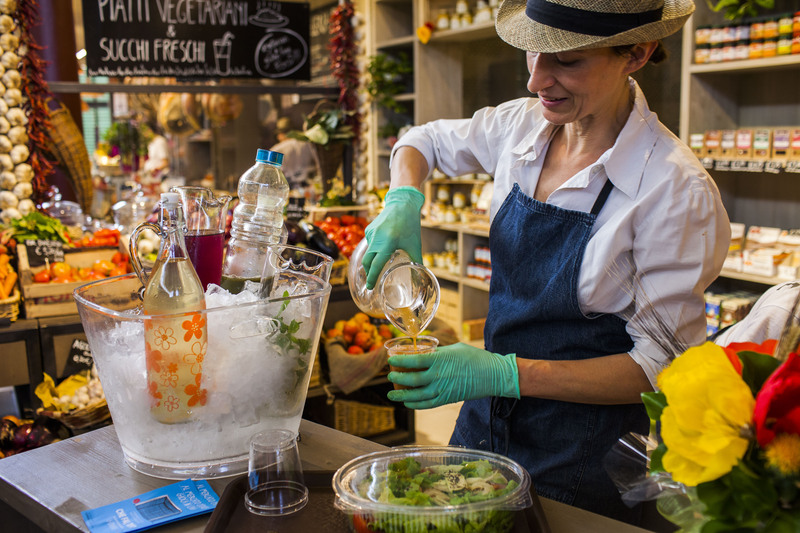 A bartender serves freshly squeezed juices at the San Lorenzo Market. Ice cream at the Carapina ice cream Shop. 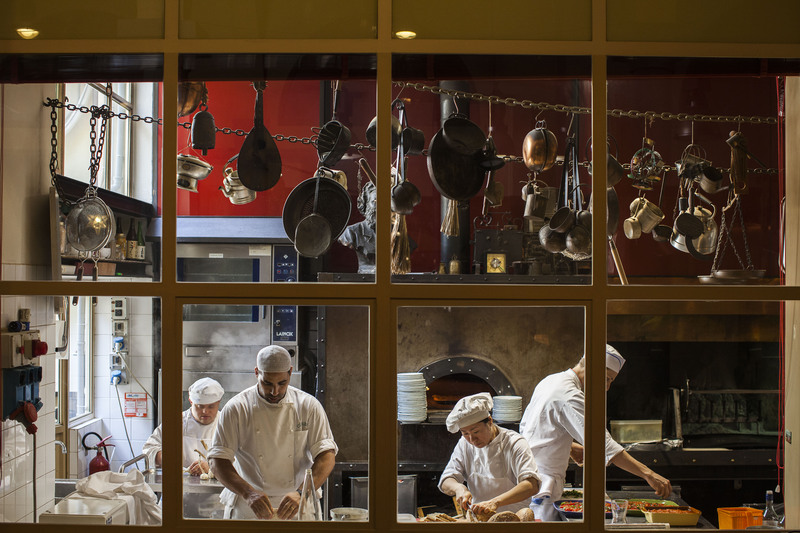 Chefs at work in the kitchen of the Cibreo Teatro del Sale. 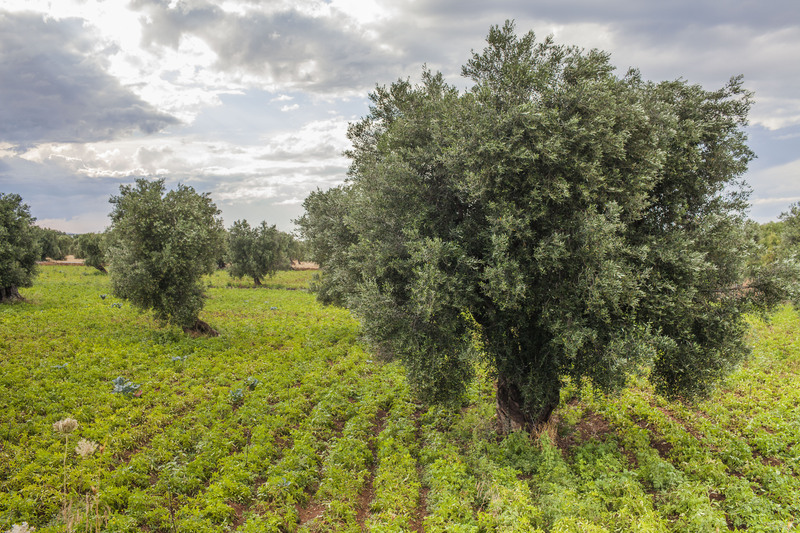 An ancient olive tree in a potato field. A woman reads a book in a hammock attached to two olive trees on the background of the Trulli, the typical houses of Apulia at Kaliyoga Yoga and Detox Retreat. 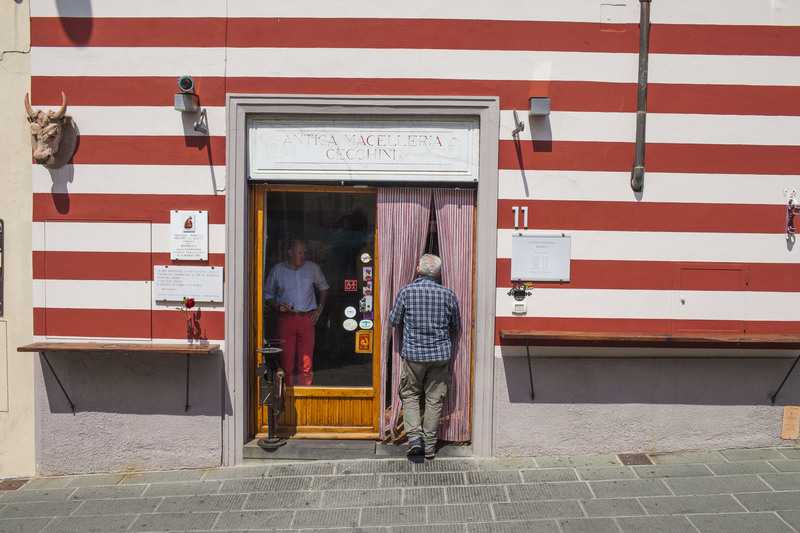 A man entering the butcher’s shop “Antica Macelleria Cecchini” owned by Italian butcher Dario Cecchini. 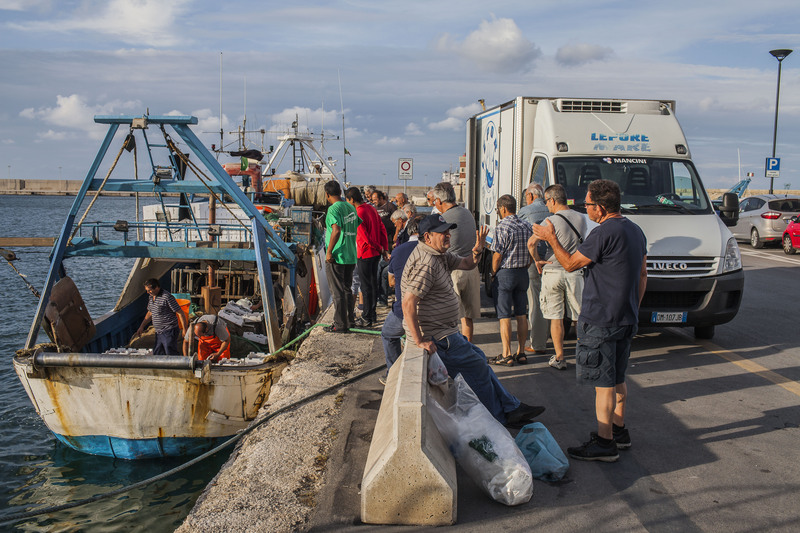 Fishermen unloading their freshly caught fish to be sold to the market upon their return to the harbor. 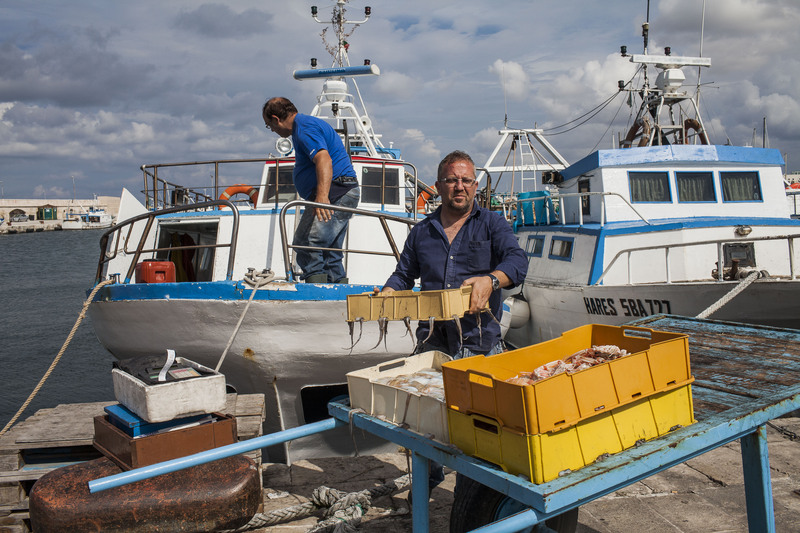 Fishermen unloading fresh fish to be sold to the market upon their return to the harbor. 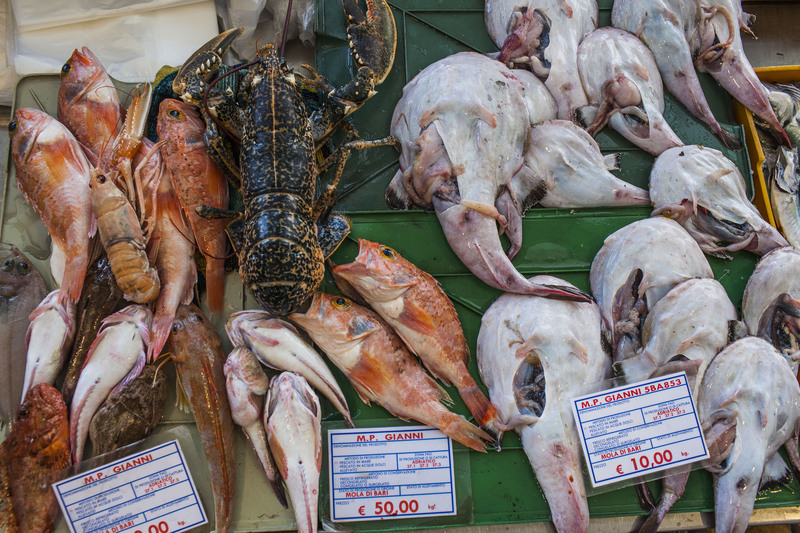 Fresh fish to be sold at the market at the harbor. 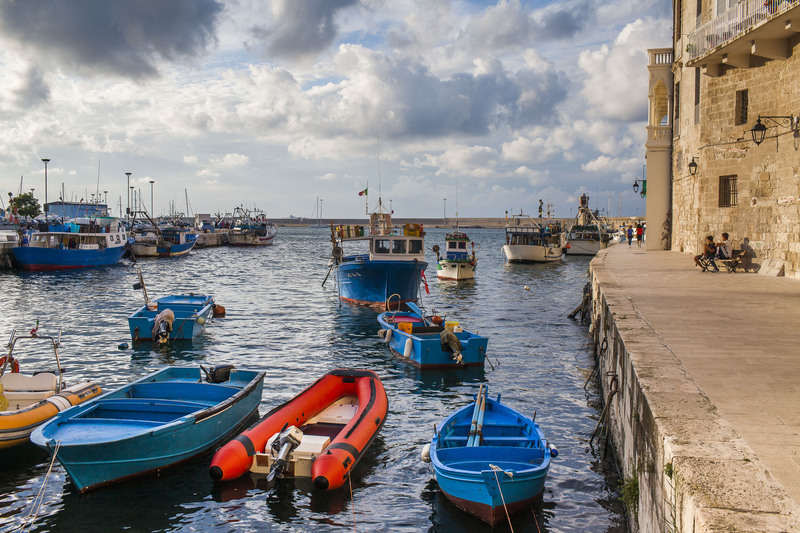 Boats docked in the harbor.